Good morning everyone on what is now day 14 of our 20 day giveaway celebration of AnandTech’s 20th anniversary. This is our last full week of giveaways, so let’s get started! Kicking off this week we have PowerColor. Principally known for their graphics products, PowerColor is one of AMD’s long-time exclusive partners. 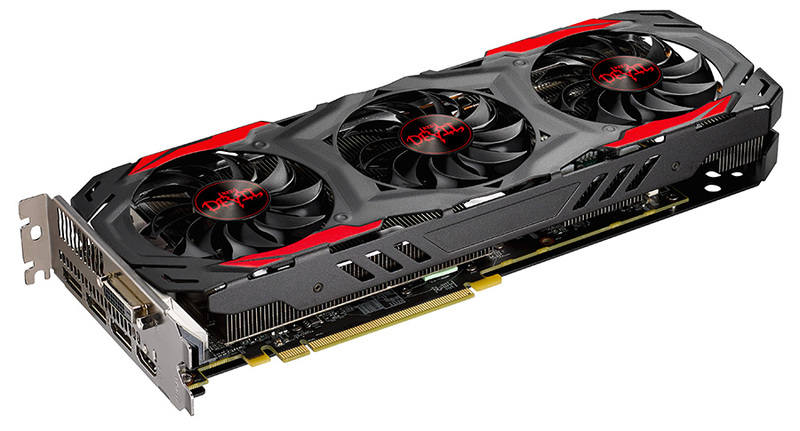 To that end, the company has sent over a pair of their recently launched Red Devil Radeon RX 570 cards, which are the company’s highest-performance RX 570 cards. So for those of you looking for a solid 1080p gaming card, today’s your day. 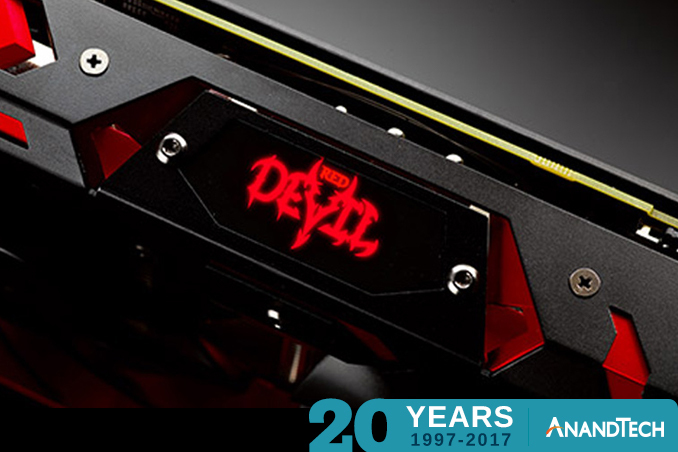 At the high-end of PowerColor’s Radeon RX 500 series lineup is the Red Devil series, the company’s gaming-focused, factory overclocked cards. The Red Devil RX 570 is PowerColor’s 1080p-focused card, shipping with 4GB of VRAM and sporting a factory overclock of 1320MHz, 76MHz over AMD’s reference clock. Internally, the card is built with the company’s Gold PowerKIT VRMs in a 6+1 phase configuration, and while the company doesn’t state an official TDP, it’s clearly a card designed to go a good deal higher than AMD’s reference 150W design. Cooling for the card is provided by one of PowerColor’s Double Blade III triple fan coolers, which sports a trio of 80mm diameter fans. Consequently the card is quite large – about 12.2 inches in length – with the heatsink extending well past the PCB itself. PowerColor’s cooler also sports support for zero fan speed idle (under the “Mute Fan” name), which should play especially well with the sizable mass that is the heatsink. Finally, for further noise control, the card ships with a BIOS selection switch that allows switching between its default BIOS, and a 1270MHz BIOS tuned for even quieter operation.